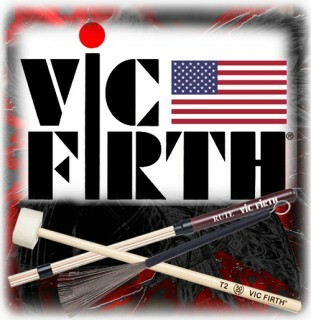 For over 40 years, Vic Firth has been a leader in design, innovation and technology. He has pioneered new concepts and methods to constantly improve upon the manufacturing process, resulting in the world's most known name in drumsticks and mallets. 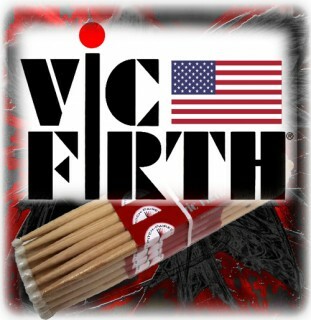 Vic firth not only make around 12 million drumsticks per year but also manufacturer a good selection of percussion sticks, clothing and accessories. Over the years the distribution of this fine brand has changed but the quality has not. 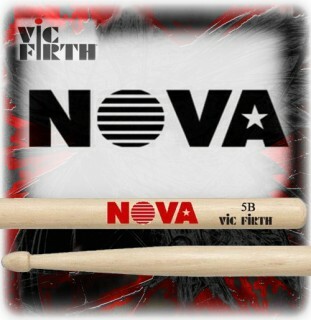 Exclusively used by some of today's legends in drumming like Jojo Mayer, Steve Smith and Terry Boozio to name a few, you can be guaranteed you will not be disappointed. 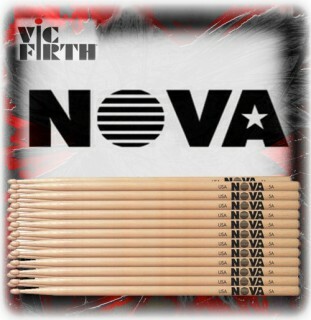 We are a main dealer for Vic firth stocking most of the complete range but we simply can't keep every model due to the massive selection. If there is a model you require which you can't currently see advertised then please call on 01709 382220. Our sales team will quickly source your requirements which usually only takes a few days.